All of our services include lifetime phone and email support so you can have the relationship you want with your dog. Lifetime Trainer Support for the Doggie Boot Camp where owner-training is included as long as you have your dog. Doggie Boot Camp and Finishing School is perfect for problem behaviors, puppies, and creating a strong foundation for advanced training. On-leash Obedience Mastery Course is a primer for off-leash training, elimination of unwanted behaviors, and dog social skills in a series of lessons over 6 months. Off-leash Obedience Mastery Course for the relationship you really want with your dog is a series of lessons over 6 months. Behavioral Consultations to help determine the best training options for you and your dog and and to highlight solutions for unwanted behavior problems. Half of the $300 consultation fee will be applied to any dog training program offered by Balanced Obedience and the fee is waived if your dog begins training at the time of the consultation. Boarding-Training & Doggie Hotel is available to dogs that have enrolled in the Boot Camp and Finishing School. 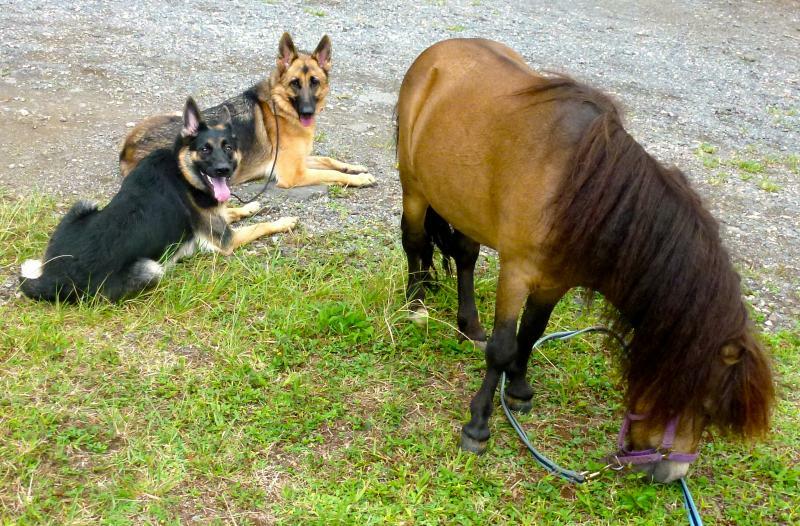 Dogs will continue their education while enjoying socialization and off-leash manners. Testing for the AKC Canine Good Citizen – The American Kennel Club (AKC) Canine Good Citizen (CGC), Advanced CGC, Urban CGC or Puppy S.T.A.R. testing is given to dogs that have completed the Doggie Boot Camp & Finishing School. Service Area for Doggie Boot Camp is all of Oahu. Free Service Area for On-leash Mastery Course, Behavioral Consultation and Boardng-training is limited to Honolulu, Hawaii Kai, Kailua, and Kaneohe though clients outside of this area are welcome to meet me in the service area, or pay a travel fee. I will come to you and teach you and your dog basic obedience and discuss any behavior issues your dog has and what is the best training methods for your dog’s age, breed, and temperament. I have a dog training gift and can train dogs their basic obedience in a single lesson and off-leash training in a few lessons. I will spend the time to ensure you have the training results you want. I will teach you how to be the leader in your dog’s eyes and give you a lesson plan that will only take minutes out of your day. Boarding-Training is available to all dogs that have completed Doggie Boot Camp or the On-leash Mastery Course. 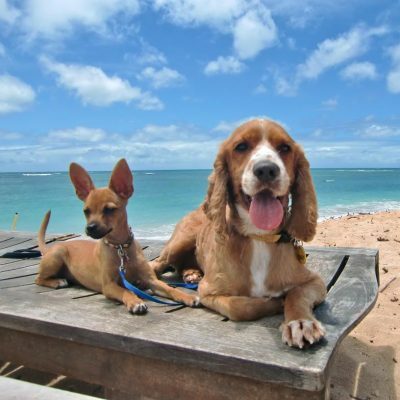 Balanced Obedience is home to Hawaii’s ORIGINAL Doggie Boot Camp, founded in 2008.